Your source for news, multimedia, and features related to the Division of the Humanities at the University of Chicago. 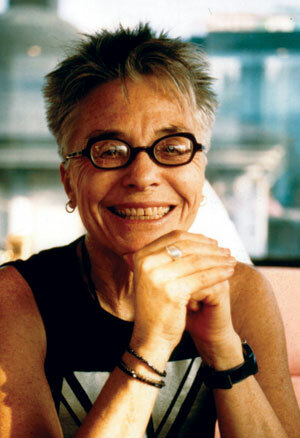 The Fifth Annual Graduate Cinema Conference, “Alternative Non-Fiction: Essay films, hybrids and experimental documentaries,” will feature acclaimed filmmaker Barbara Hammer for a screening and a discussion of “Nitrate Kisses” (Friday, April 4, 7 p.m.). The film is Hammer’s first feature, in which the pioneer of lesbian cinema explores eroded emulsions and images for lost vestiges of lesbian and gay culture. The conference will take place at the Film Studies Center, Cobb Hall 307, 5811 S. Ellis Ave. on Saturday, April 5. The conference will bring together graduate students to deliver papers on cinematic theory and practice related to the essay film and other forms of non-conventional documentary filmmaking. Vaguely defined and broadly inclusive, the term “essay film” has been used in popular and academic discourse to describe a wide variety of alternative nonfiction films and filmmakers that defy easy categorization. Other conference highlights include a keynote address by Art History Professor Richard Neer, a screening of Jean-Luc Godard’s “In Praise of Love” (Saturday, April 5, 7:30 p.m.) as well as panel discussions and paper presentation. Posted in Press Releases. Tagged with Art History, Cinema & Media Studies. "My scholarship and teaching focuses on American and African-American literature from the late nineteenth century through the middle of the twentieth century. I am particularly interested in the way that debates about literary form and genre articulate with discussions of political and social change." For more information on upcoming events in the Division of the Humanities, please visit our Events Calendar or join our Mailing List.